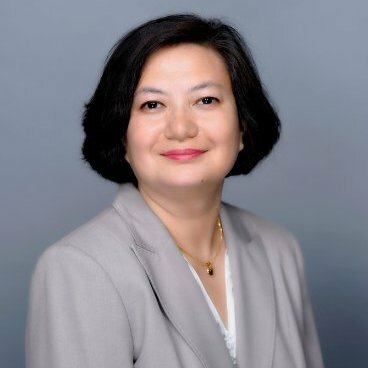 Smritee Subba (MSIT ‘18) has spent the past four years as a senior manager at Sears Holdings Corporation. 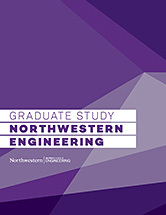 Two years ago, she decided to enroll in Northwestern Engineering’s Master of Science in Information Technology (MSIT) part-time option because of the flexible schedule and unique blend of technology and business courses. Now, as she prepares to graduate, Subba took time to look back on her experience in the program, what she’s learned and how she’s applied it to her everyday job. What was it about the MSIT part-time option that most appealed to you? The classes are offered on Saturdays in a classroom and taught by distinguished academic professors and business executives. The capstone course further covers a broad of range of current and upcoming technologies by distinguished speakers with in-depth experience working in these technologies. What are two or three of the biggest things you've learned during your time in the program? In addition to all the technology courses, I have learned how to read and write corporate balance sheets, understand the details of company financial statements as well as many nuances of IT Law. Most important, the content presented in every course is very thorough, relevant and intriguing. I have enjoyed every class and discussion. How have you been able to implement what you've learned into your daily job? All the courses I have taken in this program have broadened my way of thinking through problems at work. This program has also helped me become better at equipping myself to stay updated with upcoming technologies even after I graduate. The required study groups further teach how a group can work well together to accomplish many challenging assignments where you leverage the real world professional experiences of each group member. In what ways have you seen yourself grow during your time in the program? I have learned from the collective experience and perspective of my cohort throughout the program. I have formed a strong bond with my cohort as well as the professors. The courses, such as Fundamentals of Telecommunication Engineering, Communication Networks, Information Assurance and Risk Management have taught me to understand the possibilities and appreciate the challenges and limitations of IT within a diverse range of industries such as retail, aerospace, finance and software. When I initially joined the MSIT program, I was aware of how challenging it would be to complete the program, especially for someone who has a full-time job plus kids, but the experience and the knowledge I have gained has been totally worth it. This program is definitely one of the best decisions I made in my career — and for personal enrichment. Most importantly, the MSIT faculty and staff take pride in your success, and I have grown to appreciate this MSIT family over the course of this program. I also greatly value the professional network I have gained in the process.